A Shepherd's Heart: Happy 20th Anniversary My Love! Happy 20th Anniversary My Love! I've heard it said that "Love does not consist of merely gazing at each other, but in looking together in the same direction." 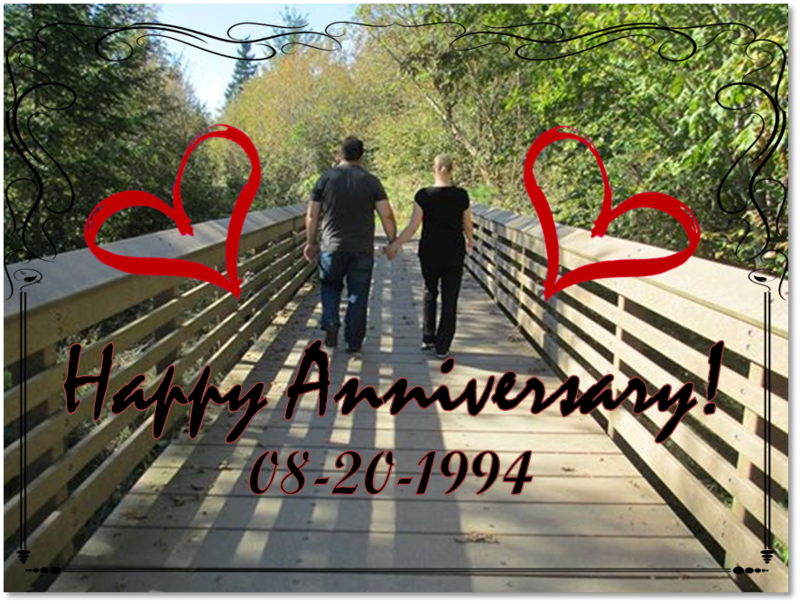 20 years ago today my love and I began a journey of looking forward together in the same direction. So far, we've seen many good times and times of trials and it's amazing to look back and see all that we've been through & that God has brought us through! All of these things have made us stronger and we've been blessed many times over together as well as through the 5 children God has blessed us with! I married a strong, independent, intelligent lady who is beautiful inside and out. She has a great sense of humor (for those have taken time to get to know her know this) is very feisty in her own way and she’s continued to blossom even more in the 22 years I've been blessed to know her! In 20 years of marriage she has helped me be a better man, husband, dad and friend and I look forward to continuing to look forward together in the adventure and journey that still lies ahead. Happy Anniversary Angela my love!